Hoarders is a show that airs on A&E, and it is one that has caught the attention of almost everyone, for one reason or another. As a matter of fact, the show has gained so much notoriety that copycat shows are popping up all over the place. It’s rather interesting that the show has been on for long, several years in fact, yet it’s only recently that so many other networks have decided to try taking a stab at getting some of the glory. Nevertheless, the show is popular, and it only seems to become more so as time goes on. In reality, it has helped a number of people who secretly struggle with their own hoarding issues. For that reason alone, it’s worth exploring more in-depth. If you’re wondering how the show’s very existence has helped those who have hoarding issues of their own, it’s largely because it lets them know they’re not alone. In most cases, hoarding is the direct result of something tragic that has happened to a person earlier in their lifetime.. It can be brought on by a number of things, with some of the most common issues being related to abuse or abandonment issues when the person was much younger. Sometimes, it happens as the direct result of losing a much loved member of the family or some other type of trauma that happens. The thing that many hoarders have in common is that they struggle in silence. It’s often only those who are closest to them that know of their hoarding and frequently, even they don’t truly know the extent of things. It’s thought that for these individuals who have experienced some type of tragedy that they struggle to deal with, surrounding themselves with things makes them feel safer, perhaps even happier. This may be especially true if that person hoards specific items that make them think back on happier times, as these types of possessions can bring about a certain amount of comfort. Often, the people who are hoarding don’t even realize how bad things have gotten until someone finds out and steps in, as it usually occurs a little at a time until they have accumulated so much stuff that they can scarcely even navigate their own homes. This brings us back to how the show helps those who hoard. Aside from showcasing the fact that other successful people also struggle with this problem, it also proves that help is available. There are experts that are frequently called in to help clean up the place, and that is very helpful. However, it’s only effective if the individuals in question is ready to address the root cause of their hoarding and make some changes in order to remedy the problem. This can be hard to do for someone who is struggling with a past trauma. That’s why the show’s use of counselors and coaches has been so important. In almost every episode, there is a mental health professional on site that works directly with the person who has been hoarding. They are there to help them figure out why they started hoarding in the first place and what they can do to make things better. They help them get to the issue that they have been trying to divert their attention from for years. They also give them the coping skills they will need as they move forward, all so they won’t be as tempted to hoard again. The show has even gone one step further and started providing an outlet for those who are struggling to reach out. Many times, these people may feel closed off from family and friends because they don’t want to be judged for hoarding. Therefore, the show itself may be the only way that they can realistically find the help they need, especially of the situation has be ongoing for quite some time or it has put a significant strain on the family. 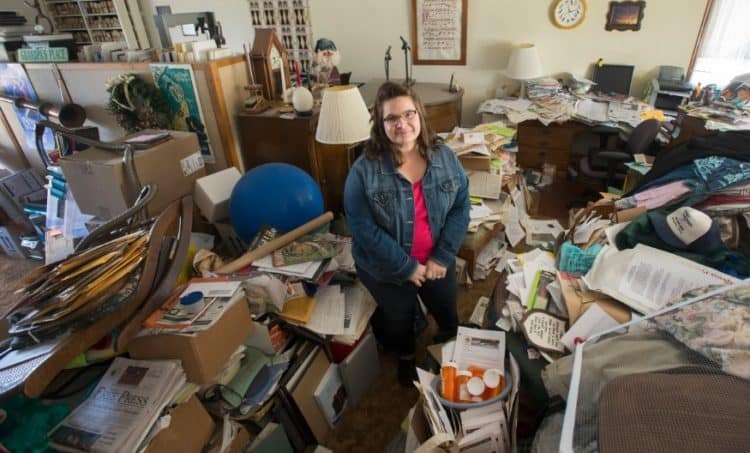 In short, Hoarders is a show that helps people realize that there are others out there who struggle with the same problem. It assures them that they are not crazy, but that they are struggling with something from their past that they have been previously unable to deal with in a healthy manner. More importantly, it helps them understand that they can find help and transform their lives if they are ready to do so.